That said, we recently had some fantastic action on one of our baits in an area in the Mayacamas between Santa Rosa and St Helena. 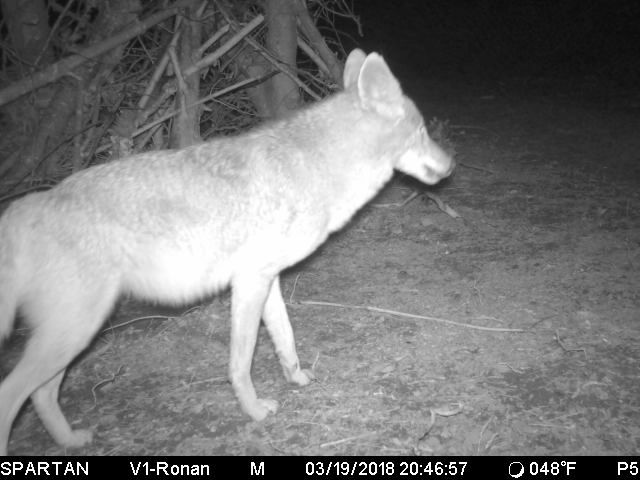 Here we had two coyotes happily feeding on a bait I had set out for a lion. An hour later, a formidably large bear arrived - its olfactory senses quivering at the prospects of a free meal. 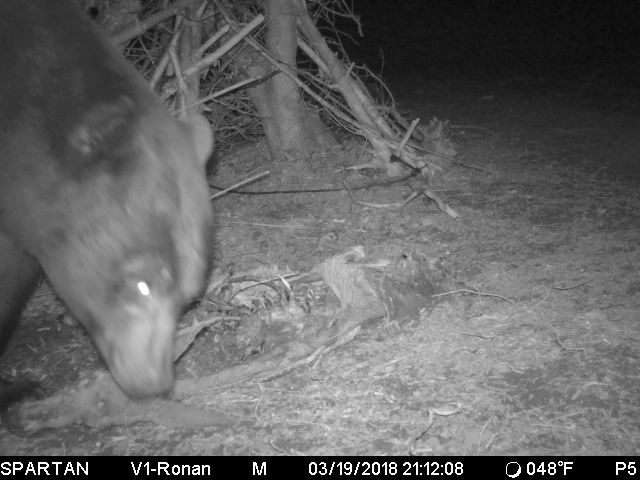 Bears are known to scavenge mountain lion kills, so this bear felt this was a great find. 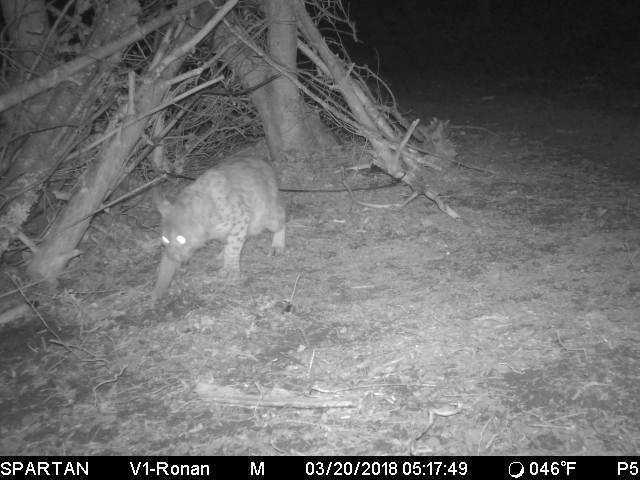 Early the following morning, a bobcat stumbled across the scant remains and managed to salvage a snack after seeing that the bear had moved on. 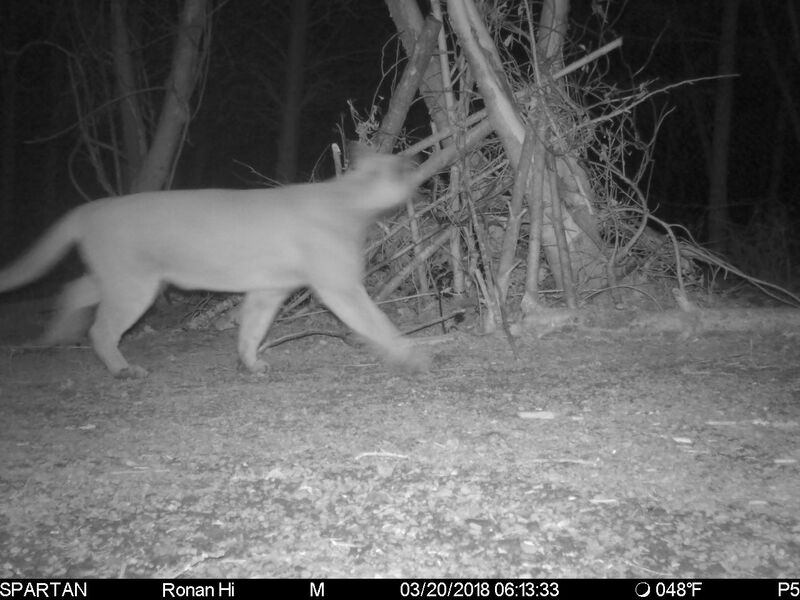 Agonizing for us, the mountain lion I had been targeting walked by after all of this activity, only to find not a morsel of food left for it. Disappointed at the lack of a decent meal, it pushed on and hasn’t been back since. The joys of baiting!! 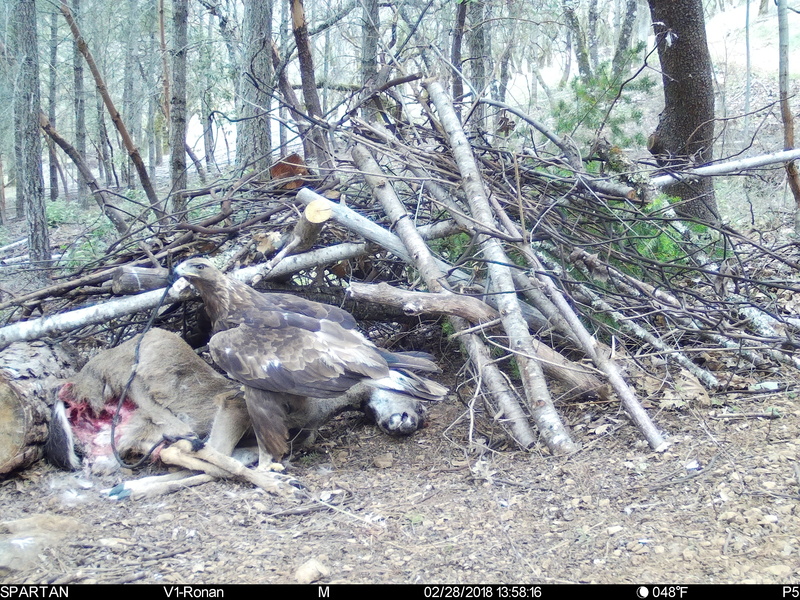 One consolation was having a beautiful Golden Eagle visit the same bait site - what a magnificent bird. Hopefully we will have our bait-free electronic walk-through traps up and running next month again, avoiding having us have to go through this tedious, smelly and rather macabre affair.